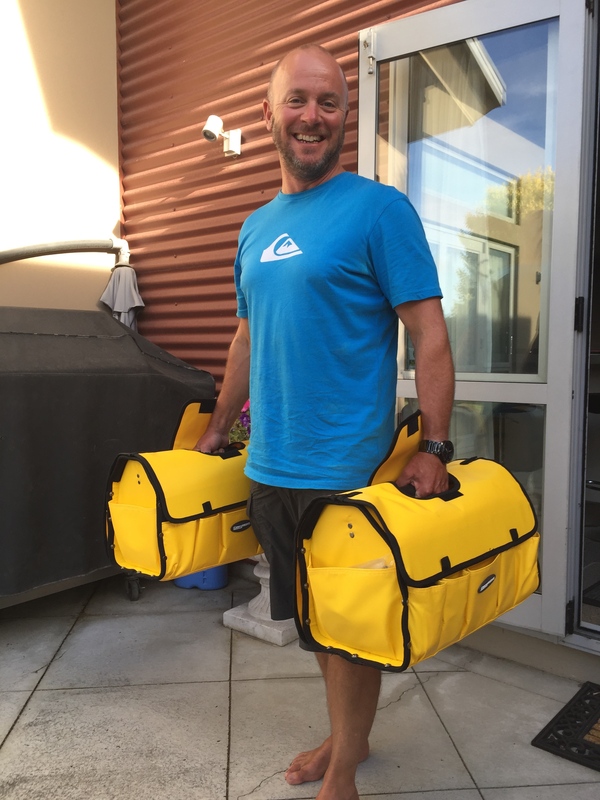 We have just bought two bright yellow tool kits from Bunnings. Andrew’s very heavy metal tool box wasn’t easy to carry or super practical to take on the boat. 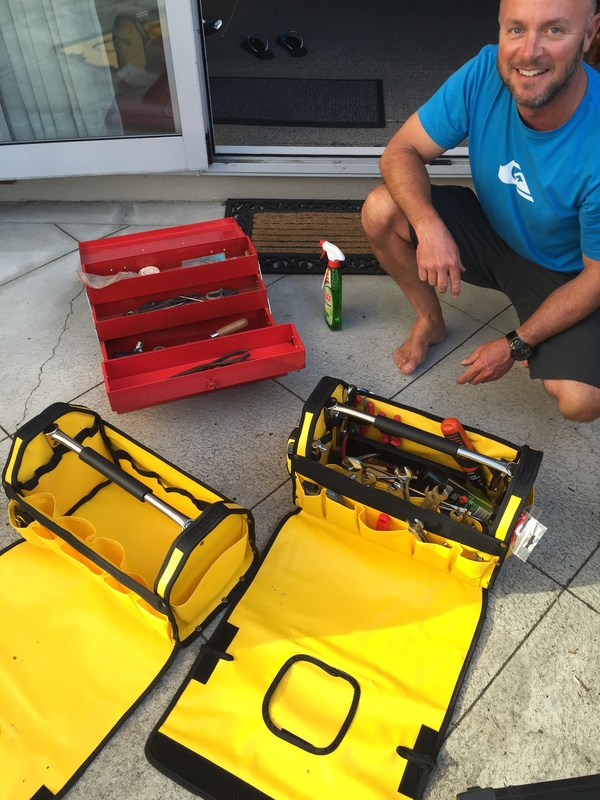 Wildwood has got a little plastic box with all her tools on board, but we wanted to start to get organised for what we will need on Astrolabe, so thats why we bought these bright new ones! And bright they are! What I like is that they have a soft bottom and sides, so they won’t scratch or make a dent if you bump in to something. They have a sturdy bottom and handle, and a flap that folds over the top to protect the tools from getting wet. When it opens out, it makes a nice flat and bright surface to put the bits that you are taking apart on so they don’t go missing so easily, and it is waterproof fabric, so it should easily wipe back down again and will protect the tools from getting wet if it is raining. There are heaps of little pockets for putting things as well. We spent aaaages in the shop ‘trying on’ all the different tool bags! There were heaps to choose from, and we eventually decided that these were going to be best. So we bought two! One for spanners, screw drivers, sockets and that kind of thing, and the other will be for electrical things and other stuff. We figured that two smaller ones will be easier to carry and store than one huge one. I am actually even thinking about going back to get another couple. One could be for emergency gear. The hacksaw & blades, some wooden bungs, the fog horn, bolt cutters, axe that kind of thing. The other could be for haul out gear, scrapers, ear muffs, paint stirrers, dust masks etc. This could turn in to another Sistema addiction…! Is there anything we are missing? Wow that is tidy. Ours does not look nearly as nice.